A study about why a fast start can lead to a slow finish. A post about an ultra marathon runner who stopped for a beer during the race. 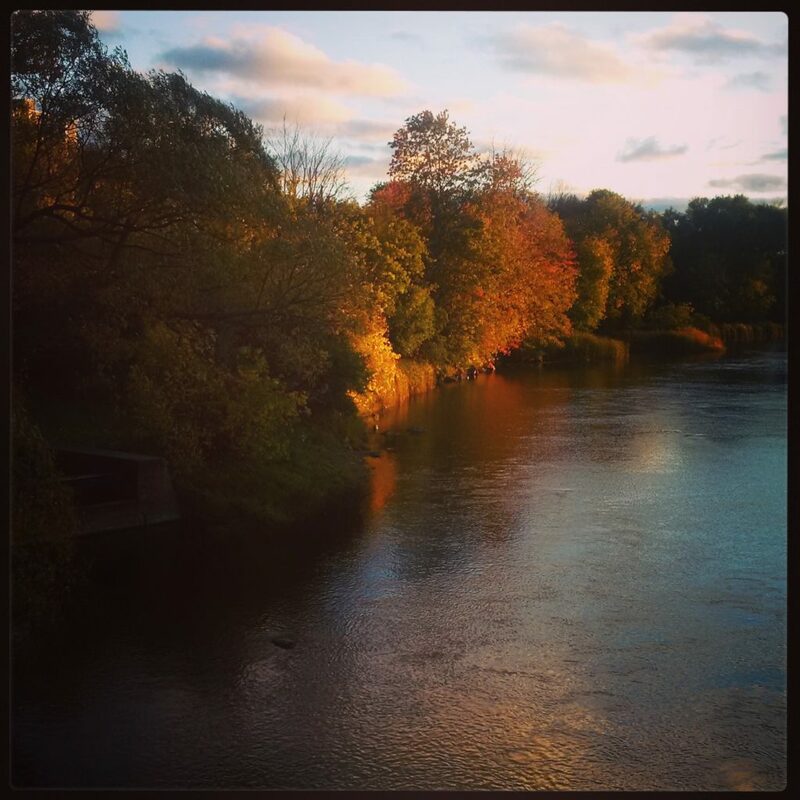 A story about getting back to running. Advice for those looking to tackle intervals over the summer. A great story about beer and running. A post about the importance of a strong core for runners. Finally, a study about the importance of external feedback. 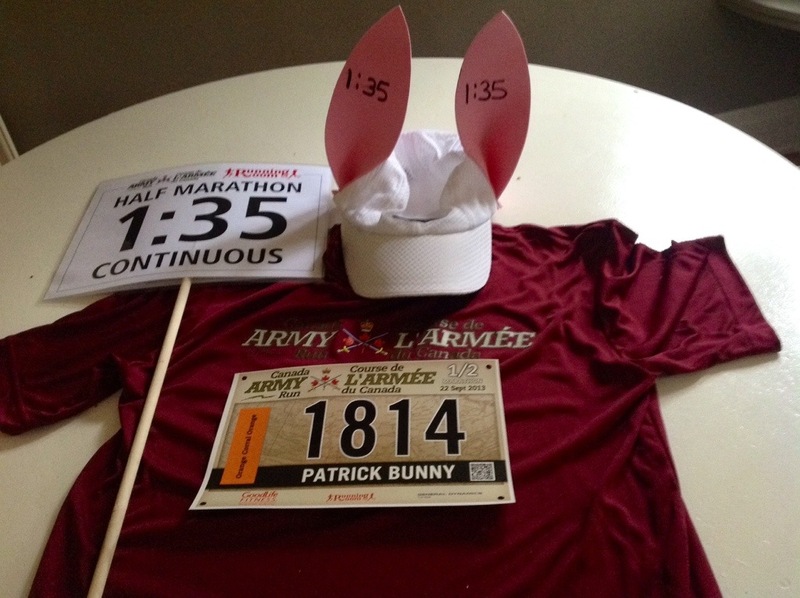 As previously mentioned, I participated in the Army Run as a pace bunny this morning. 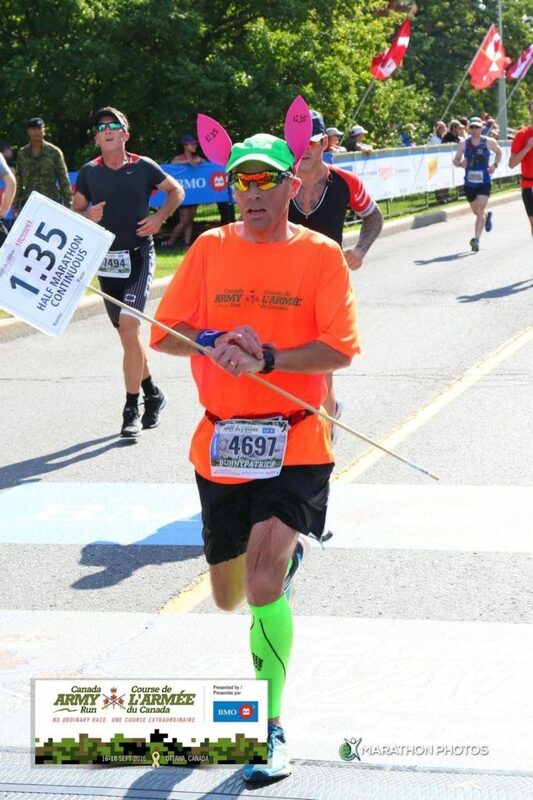 It was my fourth time participating in the race and third time running it as a pace bunny. The plan for this year was for me to pace the 1:35 group in the half-marathon. The significance of this being that a 1:35 half is my goal marathon pace. You may recall that I had the same plan last year as I trained for the Toronto Waterfront Marathon until I sprained my ankle a week before. After it rained for most of yesterday this morning we actually ended up with decent weather for running. In previous years I have done this race it ended up being warm for the time of year. This morning it was cool. The only downside was the wind when we were running into it. There were a few occasions when I thought it was going to snap the stick holding the 1:35 sign I was carrying. In terms of the race, as soon as I took my place in the corral I met runners who planned to follow me or hoped to stay in front of me. For most of the race I had a decent sized group of runners around me. Many of the runners who started out with me seemed to stick close to me for most of the race. My plan going in was to aim for even splits and maintain a 4:30 pace as much as possible. Yesterday when picking up my race kit I forgot to grab one of the free pace bands they always have at race expos so before leaving the house is morning I quickly wrote my goal 5, 10, 15 and 19 km splits on my hand with a permanent marker so I would be able to judge whether I was on pace. Thanks to the splits on my hand I knew I was close to being on pace throughout the race. In the end I crossed the finish line in 1:35:48. Of course I hoped to be a little closer to 1:35 but still a good result and judging by the reaction from other runners in finish chute I am pleased with how the race went. Pacing presents a different challenge that makes it worthwhile. Having other runners following you does add a degree of pressure but at the same time it is fun and rewarding to see other runners meet their goals. In particular today I had a couple runners close to me over the last 2 km and I could see they were pushing hard to keep up with me. They managed to stick with me over that distance and get a 1:35 finish. If the opportunity is there again next year I will definitely look to pace this race again.